The Pawty Shop / Patchwork Pets TuffPuff Alligator Stick 20"
Patchwork Pets TuffPuff Alligator Stick 20"
TuffPuff® Sticks Alligator is a dark green tough-skinned critter made from the exclusive Patchwork TuffPuff® fabric whose facial features are sewn-in. Great for hours of rough play. 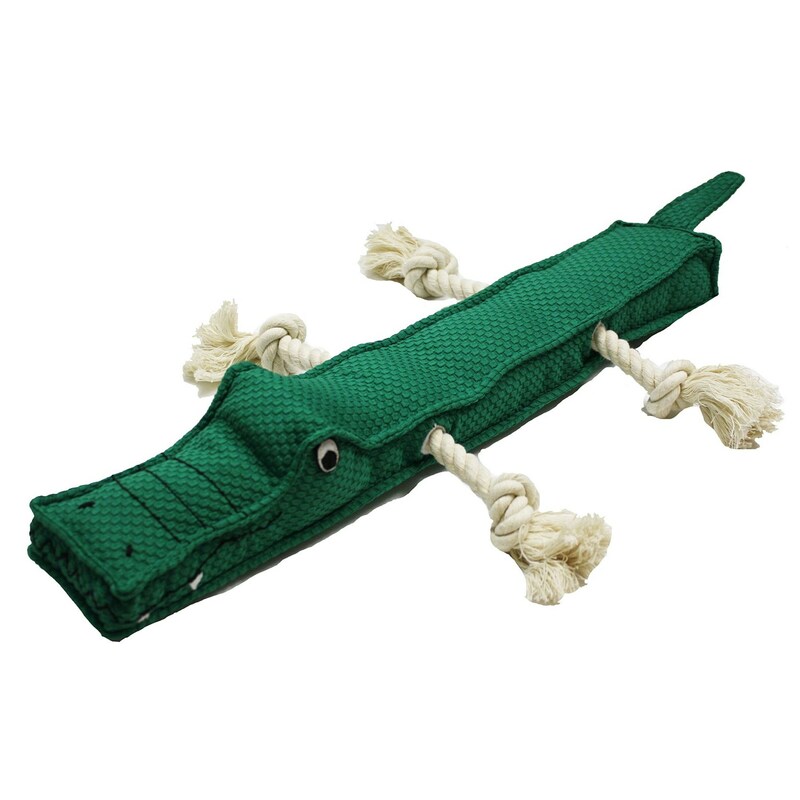 The Alligator comes with 3 squeakers and 2 cotton pull-through ropes.